For the first time, William Shakespeare’s last play, The Tempest, is performed. The year is 1611. Just a year earlier, Henry IV of France was assassinated by François Ravaillac. 1611 too, is likely the year in which the real-life d’Artagnan, otherwise known as Charles Ogier de Batz de Castelmore, Comte d’Artagnan, was born (though no one is quite sure!). For those who grew up in a French-speaking household like myself, the story of d’Artagnan and The Three Musketeers likely needs no introduction. After all, one of the greatest books about France comes in the form of the historical adventure novel by Alexandre Dumas, published in 1844. Featuring themes of friendship, love, betrayal, and several plot twists, the book follows the plucky d’Artagnan as he leaves the home he grew up in for life in the big city. Along the way, he soon becomes firm friends with three of the most prestigious Musketeers of the guard, Porthos, Athos, and Aramis. However, what you may not know is that d’Artagnan was a real person, and he died in the Franco-Dutch war in the historic city of Maastricht. The Musketeers of the Guard (in French, Mousquetaires de la garde) also existed and also known as the King’s Musketeers. Formed in 1622, this group was only disbanded in 1816, some years after the French Revolution. Porthos, Athos, and Aramis were also real people, though their characters are very loosely based on real-life. Whereas Athos is based on Armand de Sillègue d’Athos d’Autevielle, Porthos is based on Isaac de Porthau, and Aramis is based on Henri d’Aramitz. Charles Ogier de Batz de Castelmore was born at some time around 1611 in a small village called Lupiac in the Gers (Gascony) region of South West France. Today, there’s a small museum in Lupiac dedicated to d’Artagnan and a local festival celebrating the musketeers is held on an annual basis. By the 1630s, d’Artagnan had moved to Paris and had managed to join the Musketeers probably with the help of his Uncle, Henri de Montesquiou. During his time in the city, he enjoyed a career in espionage, acting for Cardinal Mazarin. His competence and secrecy soon caught the attention of King of the time, Louis XIV (also known as ‘The Sun King’ and best-known as the ruler who made the Palace of Versailles what it is today) and he soon embarked on several covert missions for the King. On the 3rd of April 1659, d’Artagnan married Anne Charlotte de Champlecy, Dame de Sainte-Croix. In time, the couple had two sons who also went on to become musketeers. Sadly, it was not to last, and by 1965, the couple had separated, perhaps due to d’Artagnan constantly away at work. Anne Charlotte de Champlecy moved to the Château de Sainte-Croix, where she was to spend the rest of her days. The pair married in the Church of Saint-André des Arts, an ecclesiastical building that was demolished in Parid during 1815. Now, you’ll find Place Saint-André-des-Arts in its place. Following the failure of his marriage, d’Artagnan focused on his career as a soldier, rising up the ranks and eventually finding himself working directly for Louis XIV. d’Artagnan became infamous throughout France in connection with the arrest of Nicolas Fouquet. For those not in the know, Fouquet was the Superintendent of Finances in France. He was a great lover of architecture and his greatest commission, Château de Vaux le Vicomte was likely the first great Baroque French creation, bringing together the greatest designers and architects of the era. However, Louis XIV, King of the time, soon grew jealous of Fouquet, confiscated his castle, and threw him in jail for the remained of his life. By 1667, d’Artagnan was promoted to the position of Captain-Lieutenant of the Musketeers, meaning that he was in effect, second in command only to the King. After a brief stint as Governor of Lille (reports suggest that he was pretty unpopular), he returned to the battlefield. And so, d’Artagnan joined the Franco-Dutch war in the 1670s. Contrary to what you may think, the first time that the life of Charles Ogier de Batz de Castelmore, Comte d’Artagnan was fictionalised was not in Dumas’ novel, but was, in fact, sometime earlier. 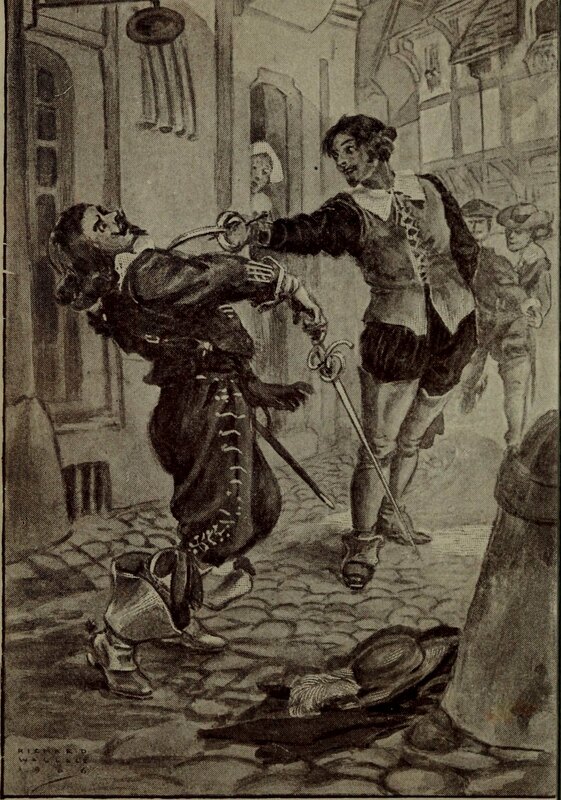 The Memoires de Monsieur d’Artagnan (a semi-true-to-life biography) was written by Gatien Courtilz de Sandras in 1700 and later served to be the inspiration for Dumas’ depiction of the man. Now, you can visit many of the places that the real-life d’Artagnan frequented, or at the very least made a trip to, during his lifetime. For example, the tunnels of Maastricht are a great place to learn more about the Franco-Dutch war while taking a literal walk through history. Known officially as the Kazematten Waldeck Maastricht Underground these tunnels were constructed between 1575 en 1825 and have served all kinds of purposes over the years. Originally built to serve as a defence mechanism for the city (as they would have been during d’Artagnan’s time), the tunnels have since served as an air raid shelter, and even a place where publicans stored their beer! Today, you can visit the Casemates via guided tour. Sources: www.association-dartagnan.fr, https://en.wikipedia.org/wiki/Charles_de_Batz_de_Castelmore_d%27Artagnan, our tour guide in the tunnels of Maastricht!